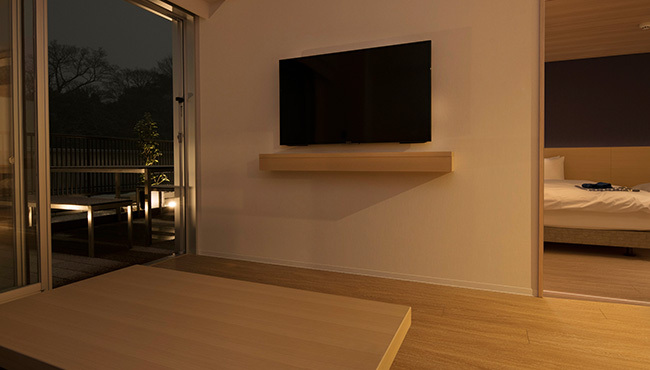 "Bedroom" modeled on a Kanazawa villa, reserved for exclusive guests. 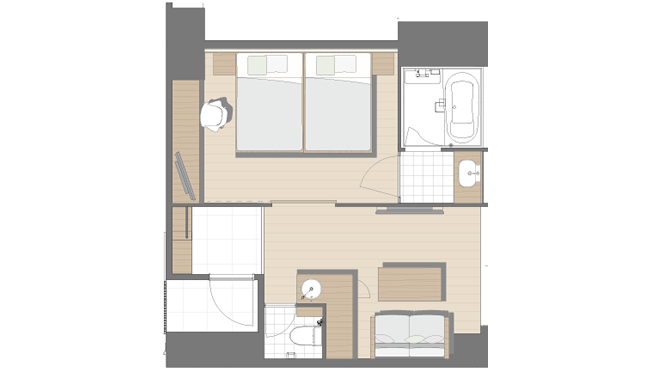 Uan does not house a large number of guest rooms. 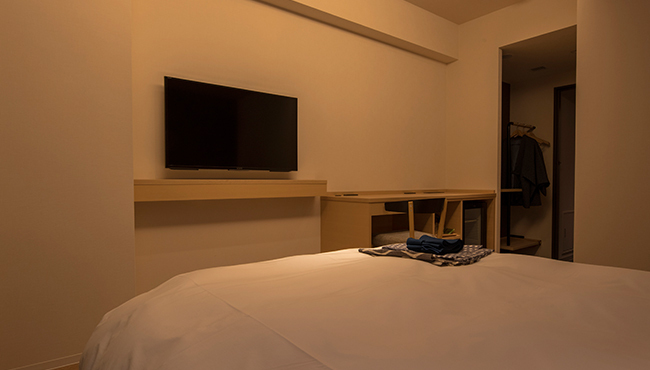 Our priority is to offer a generous amount of space in which all of our guests can relax and unwind. 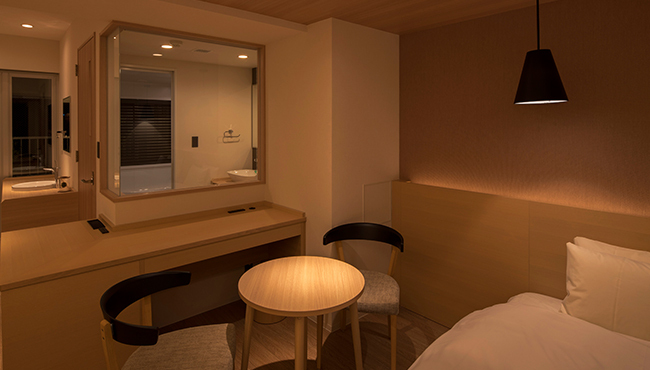 The 1F lounge Hare-no-Ma is designed to serve as a "living room," and the guest rooms as a bit luxurious, exclusive "bedroom." 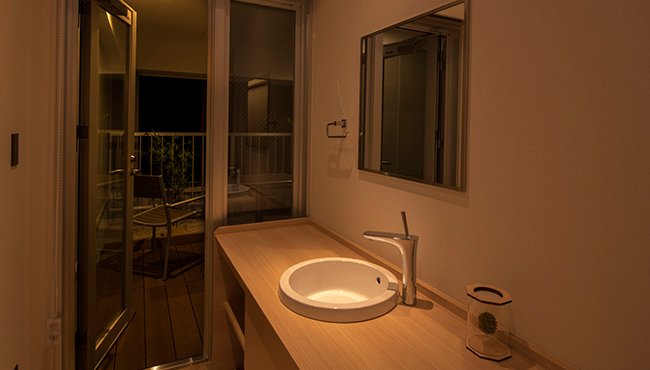 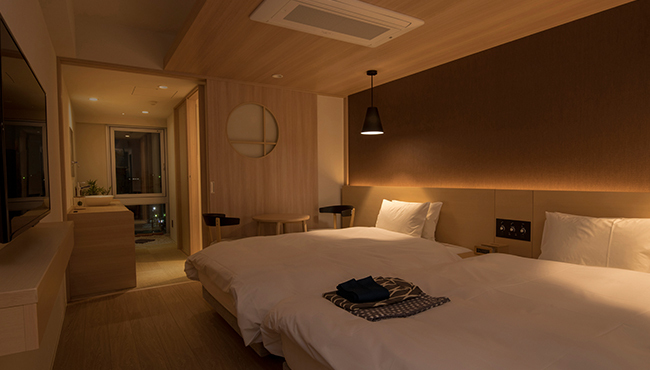 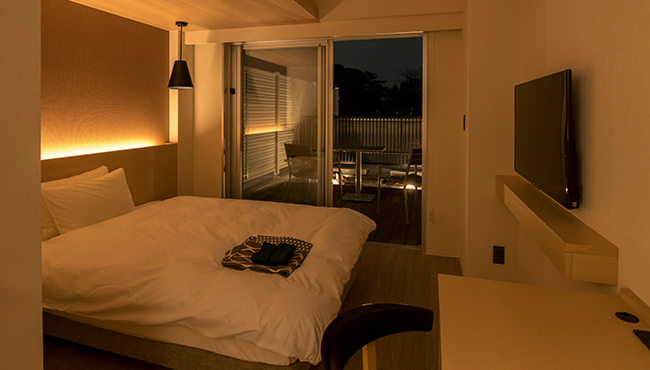 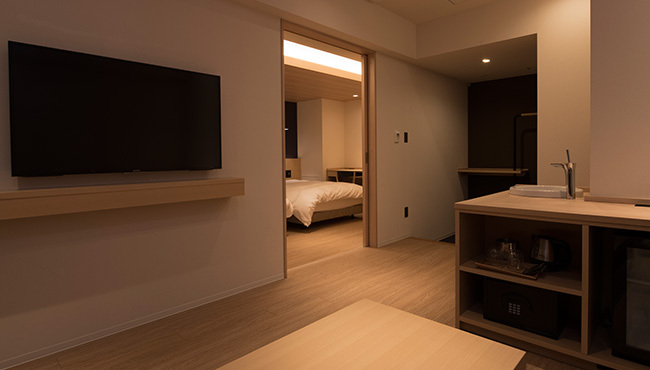 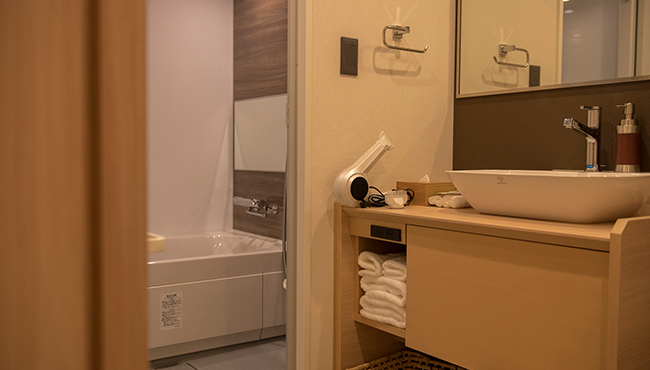 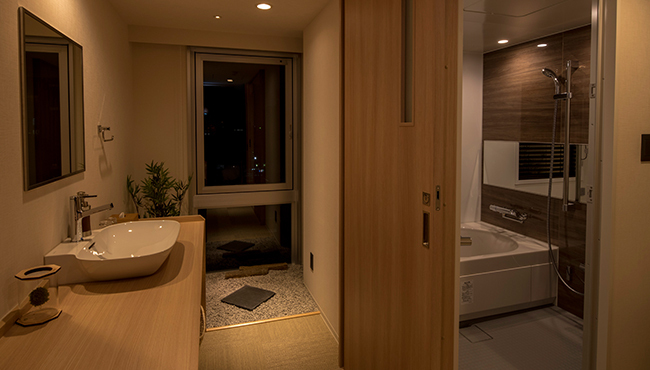 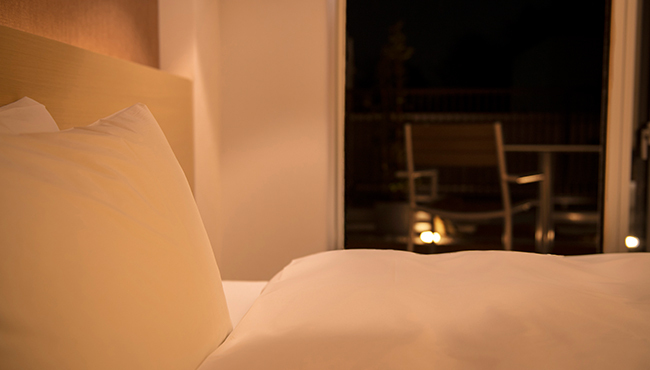 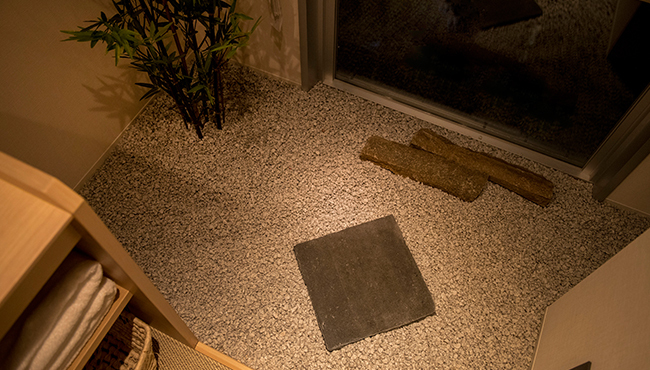 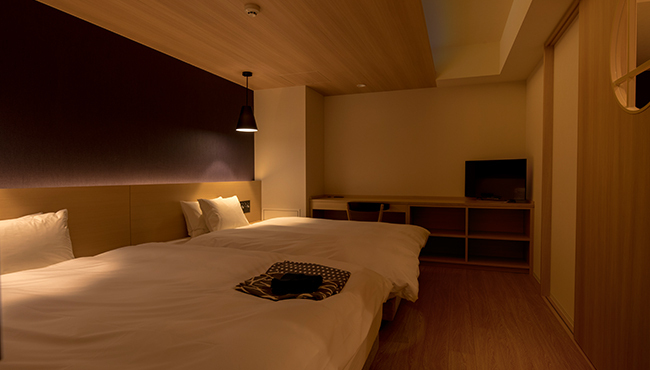 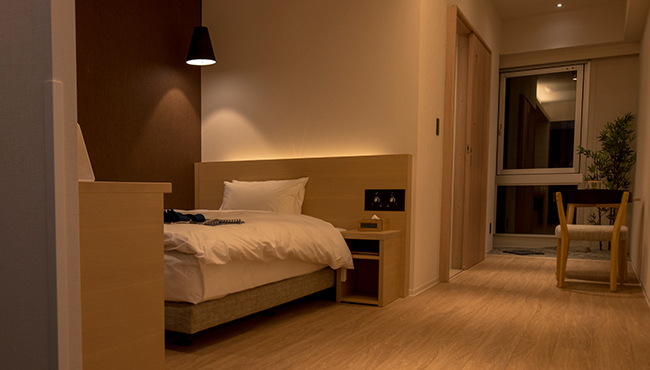 Rooms complete with a courtyard and terrace make your overnight stay in Kanazawa even more special. 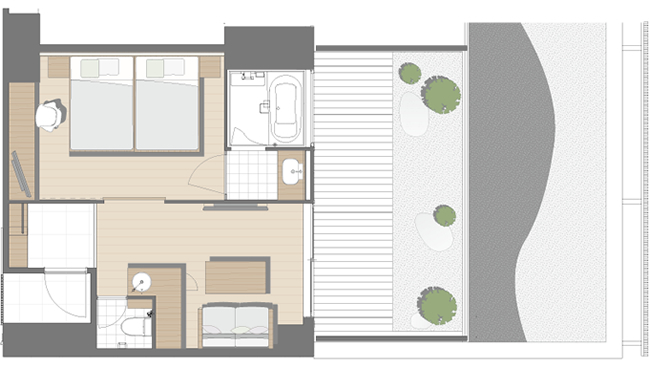 The Premier Terrace Twin has a spacious area of 40㎡, complete with a roof terrace for guests to sit and relax. 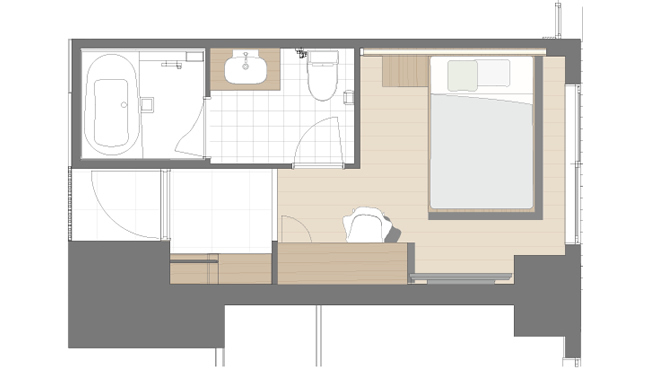 The Premier Twin is indeed first-class, featuring beds placed on flooring plus a sofa space that serves as a living room. 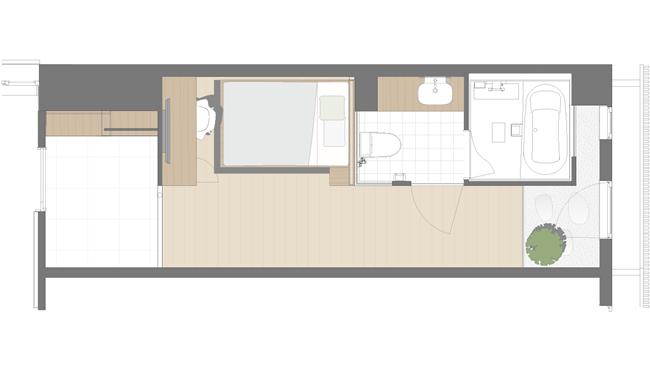 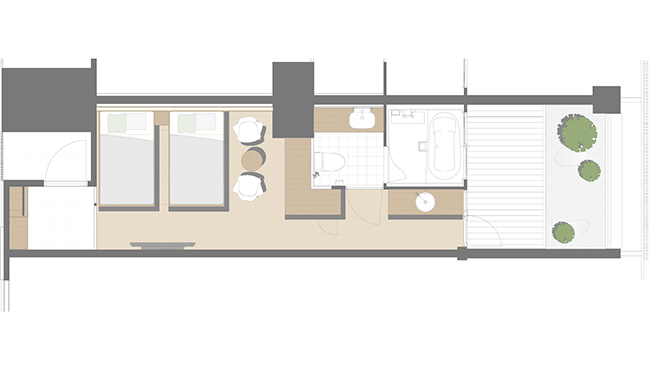 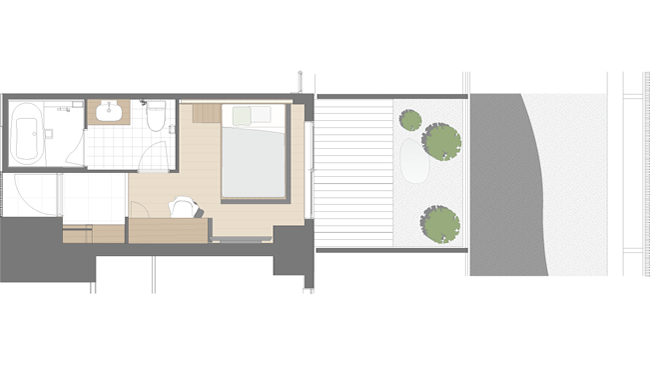 The Superior Terrace Twin is comfortably spacious for two, and comes complete with a liberating private terrace. 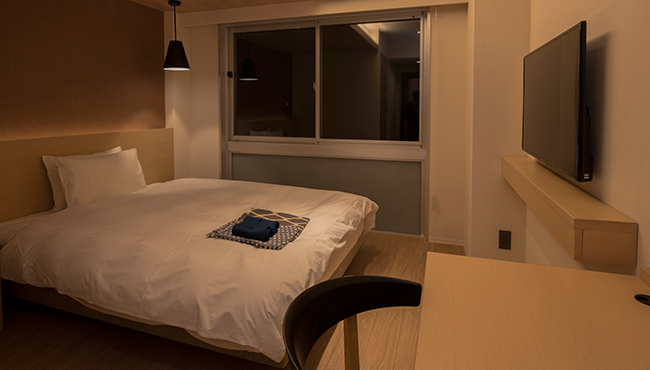 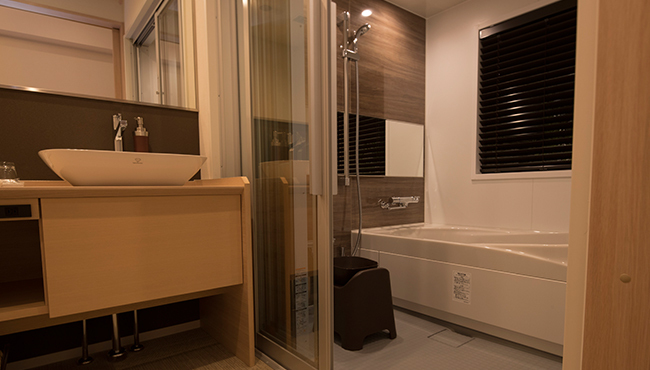 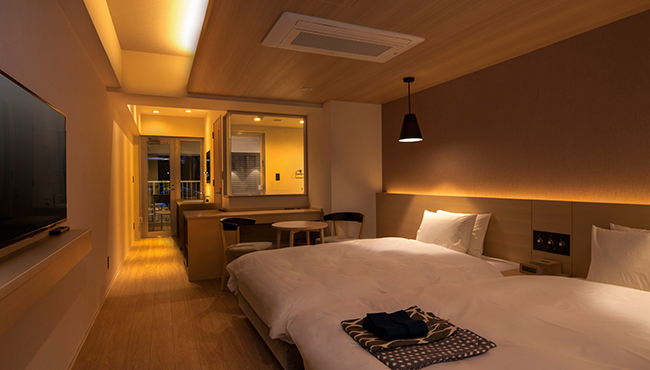 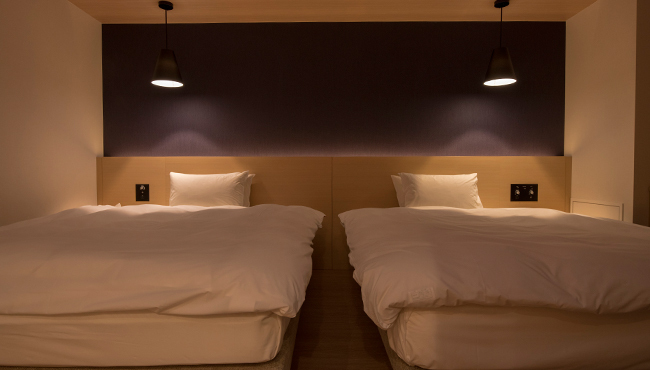 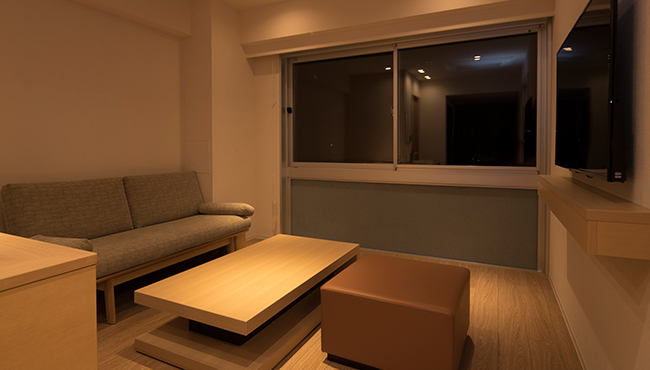 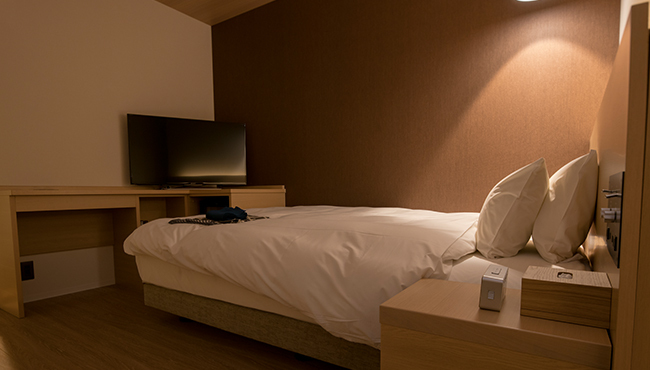 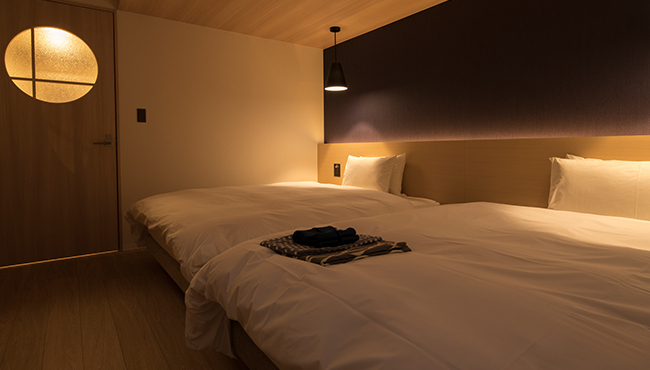 The Superior Twin is Uan's most popular room, with an area of 30㎡ comfortable for two. 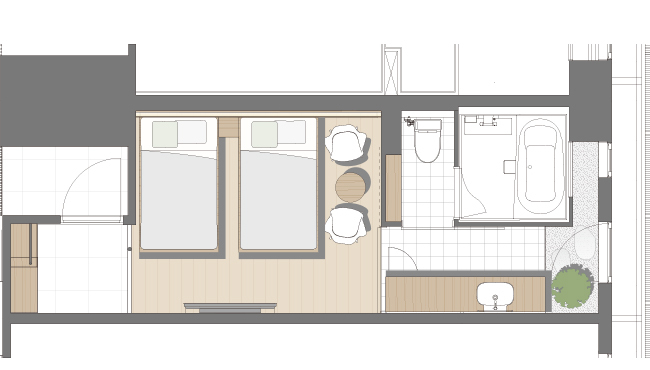 The Superior Terrace Double is ideal for couples, friends, and solo travelers, and comes complete with a compact terrace.